After thousands of miles of testing in our very own high power Focus ST, we are pleased to offer ACT’s Race Clutch kit for the Focus ST. This upgraded Race type 6 Puck clutch kit is engineered for use with the OE Dual Mass Flywheel and includes a Heavy Duty pressure plate, High Performance 6 Puck Disc , release bearing assembly and alignment tool. The Heavy Duty pressure plate incorporates hardened diaphragm fingers for decreased wear and provides a 33% increase in clamp force over the stock unit. The ACT Race Clutch includes the Xtreme Race disc with cerametallic pucks and a rigid hub design. This ensures durable performance and quick shifts. The ACT Race Clutch kit provides a moderate and consistent pedal feel, smooth engagement and significantly improved durability. 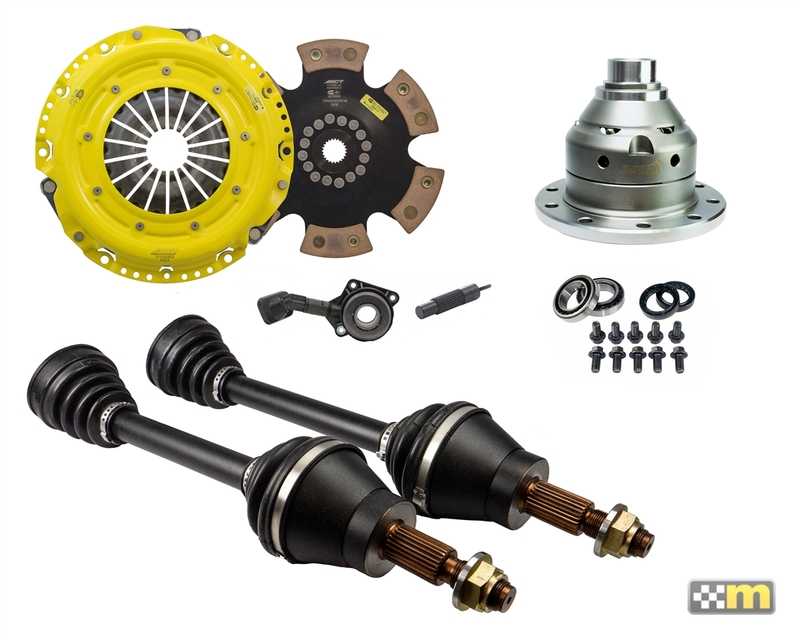 These kits meet SFI Spec 1.1 and have increased torque capacity up to 565 ft.-lbs and are perfect for track use with high power, big turbo applications.